Now that I'm in my mid-30's, it's definitely time for me to think about investing for retirement. I've heard lots of horror stories about how the social security fund isn't going to be around when it's time for my generation to start collecting, which means that I'll likely need to have several alternative sources of income. Investing for retirement is one way to ensure that I'll be able to take care of myself so I can enjoy my golden years. 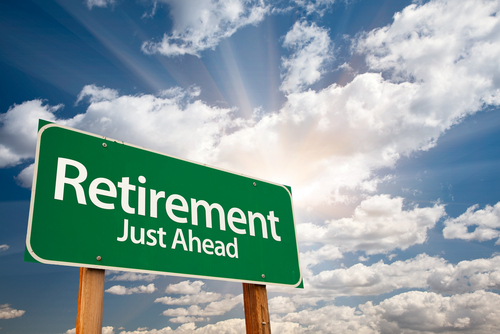 Unfortunately, investing for retirement is something that's very easy to put off. It seems that there are always more pressing matters to spend my money on. But after a consultation session with a financial advisor, I realized that I have to make this a priority and start setting aside money to invest right now. Thanks to the power of compound interest, investing for retirement sooner rather than later means that I could potentially end up with thousands of extra dollars in my account when all is said and done. The advisor then worked through a couple of different scenarios for me, which convinced me to start retirement investing immediately. One problem I faced, however, was deciding just how to invest my money. Should I think about investing in gold, or maybe property and real estate? How about stocks, and if so, which stocks? There are so many options today that it would take me ages to go through them all and try to understand how they worked. Obviously I was going to need a broker to help me identify the best methods of investing for my retirement. I scheduled an appointment for the following month. In the meantime, I could start putting my money into some things that I knew were safe, such as FDIC-insured CDs and money market accounts. Thanks to the Internet, I'm not limited to dealing only with local banks when investing for retirement. There are several websites that instantly compare all the best CD and money market rates offered by financial institutions across the country. I could see at a glance which places would give me the highest interest rates for the amount of money I wanted to invest. Once I found a few high-yield CDs that looked promising, it was an easy matter to get signed up, transfer funds, and start earning interest. The bottom line here is that I don't want to be dependent on government payouts for support when I'm too old to work. I'd much rather take the bull by the horns and ensure the financial stability of my own future by investing for retirement now. I highly recommend you do the same. The more self-reliant you are in every facet of your life, the more power you have. How to open a bank account in the US and why are American accounts safer than Swiss ones?